Dozens of national titleholders have already been chosen, and this year seems to be very promising for Miss International, with many countries sending quality delegates. 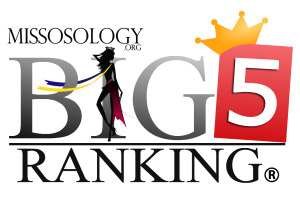 It is interesting to note that certain countries now have a separate national pageant selecting their respective Miss International delegate – Myanmar, Aruba, Haiti, USA and Hungary to name a few – and not just merely sending runners-up to their national winner. In the very first Missosology Official Hot Picks, the one leading our list is none other than the highly anticipated delegate from Mexico, the very competent Lucero Montemayor. It is interesting to note that Lucero was actually chosen and later on crowned as Miss Mexico Internacional via a public-sanctioned selection. Prior to becoming the official Miss International Mexico 2013, she was actually the runner-up to Cynthia Duque in the Nuestra Belleza Nueva Leon 2012 pageant, earning her the right to go to the national pageant – Nuestra Belleza Mexico. During the Nuestra Belleza Mundo Mexico pageant night held separately in order to please Julia Morley’s policy, Lucero ended up as 1st Runner-up, to eventual winner Marilyn Chagoya. Days later at the Nuestra Belleza Mexico 2012 coronation night, Lucero had stepped up her game in order to win the top plum and ticket to Miss Universe 2013, but in an interesting twist of fate, she ended up as 1st Runner-up (again!) to Cynthia Duque. Hope seems to fade for Lucero to be able to participate in a Big 4 pageant when weeks later, national director Lupita Jones announced that the public will select their Miss International delegate. To make the long story short, she was selected over heavy favorite Mariana Berumen (Miss World Mexico 2012). After all that she has been through, Lucero – the proverbial bridesmaid but never the bride – will surely be the most mentally and emotionally prepared among this year’s MI delegates. In second position is the lovely delegate from the relatively rich Western African nation of Gabon, Reilly Mboumba. Africa, unfortunately, is one continent that is always snubbed at the Miss International setting. Never did it happen that a black African has placed in the winners’ circle in this pageant, which started in 1960. For more than five decades, pageant fans have been anticipating year in and year out to see a black African being recognized in the Japan-based, but always end up disappointed. Reilly is very determined to break that spell, and being one of the delegates who was crowned earlier, she has the advantage of being the most prepared prior to the competition. She is also an active advocate of saving the street children of Gabon, and giving them the chance to live a decent life. One must say that this woman is indeed determined and very serious with her job as a beauty queen and a role model in her country. In third place is Venezuela’s own Elian Herrera. With a towering height of 1.85 m, she is the tallest contestant, so far, in this year’s edition. Considered to be one of the heavy favorites at last year’s Miss Venezuela pageant, Elian gave a very solid performance especially in the evening gown segment where she did some unconventional moves which was either loved or hated by those who watched the pageant via Venevision. 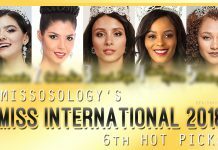 Venezuela already has six Miss International crowns, the most number in history, and every year they keep on sending topnotch delegates. It is the only country to have almost achieved a back-to-back victory four times (in 1984-85; 1997-98; 2000-01; 2010-11). When it comes to tradition, Elian’s Venezuela has the absolute edge. In fourth place is the Philippines, a country that has already produced four Miss International, only second to Venezuela. This year, they are being represented by the lovely Bea Rose Santiago of Masbate province, who was crowned in a national pageant where Mr. Hirofumi Hashimoto, the head of the International Cultural Association (organizer of the Miss International pageant) was a judge himself. In fifth place is Colombia’s Lorena Hermina. 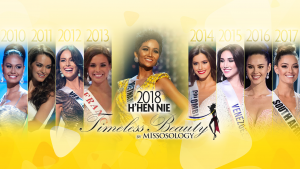 It was said that Lorena has achieved a remarkable feat as the first delegate from Huila province to have reached such placement in Miss Colombia’s nearly eight decades of existence. Interestingly, the Bea Rose also came from a province in the Philippines that barely every placed or even send a delegate to the annual Bb. Pilipinas pageant. Ikumi Yoshimatsu’s successor, Yukiko Takahashi of Japan is in sixth place. After last year’s Japanese victory in Japanese soil, one cannot anymore ignore the presence of Japanese delegate in the newly revamped MI system, where inner beauty and knowledge of social issues are now the key factors in selecting the winner. The newly crowned delegate from Gibraltar, Jamielee Randall, is expected to give a strong fight with her beauty and amazing stage presence. She was tipped to win the Miss Gibraltar title last weekend, but only ended up as 1st Runner-up. She’s in 7th place in the hot pick, so far. Also in the list is the Korean representative, Ji-eun Han, who is in 8th place. Many believed that her 1st Runner-up placement at the Miss Korea pageant was undeserved, as many thought that she should have won the ultimate title instead. Who knows, this might turn out to be a blessing in disguise as she goes to Miss International, a pageant where Korea has been doing quite well. Argentina, Ecuador and Spain are sending beautiful delegates as well, so they are in 9th, 10th and 11th in our list. Spanish speaking delegates are doing quite well, partly because they have the emotional boost with girls supporting each other during the duration of the pageant. In 12th place, and a possible spoiler just like her predecessor, is the delegate from Finland. Miss Universe Thailand got the Miss International franchise this year, so they are sending their 1st RU winner to MI, instead of Miss Earth. They will be represented by Chonticha Tiangtham, and is expected to rock the national costume competition. Israel will be represented by the very tall Sabina Yusupova, and although this news is not yet confirmed, her presence is definitely already creating an impact. And finally, in 15th place is the Myanmar delegate Gonyi Aye Kyaw. After last year’s explosive comeback, Myanmar will be represented by a very talented delegate with exotic beauty.